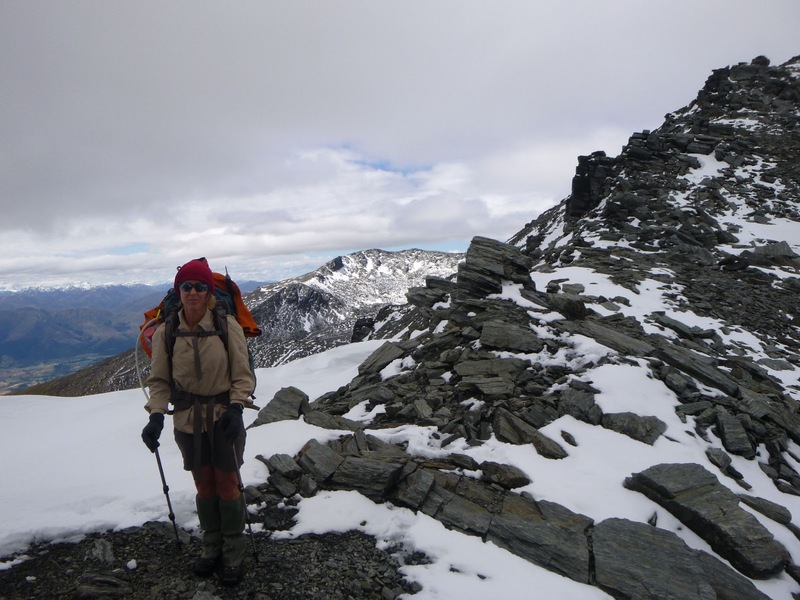 After our previous adventures in the Mt Aspiring area we found that the weather forecast looking forward was pretty rubbish. 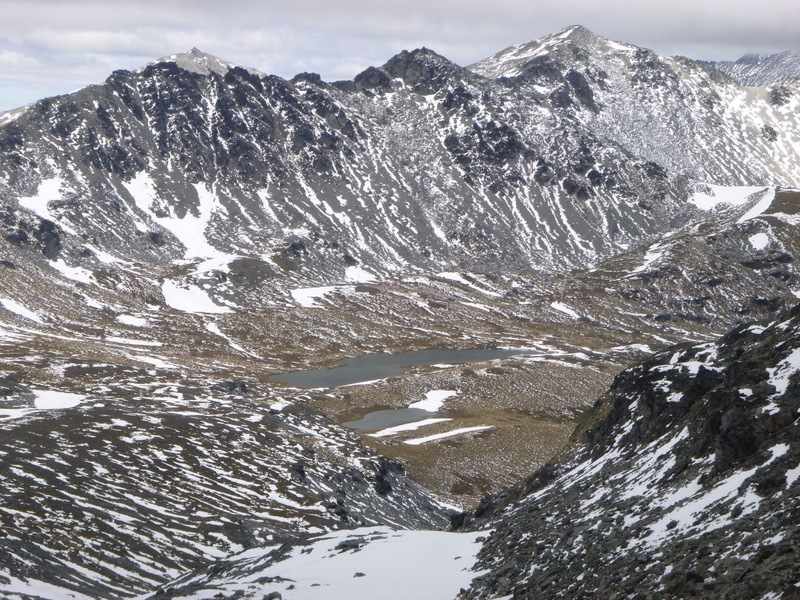 We had organised a cheapo flight from Makarora into Siberia with the view to doing some climbing in the area. With heavy rain forecast that idea went out the window and we headed to the DOC office to figure out our alternatives. 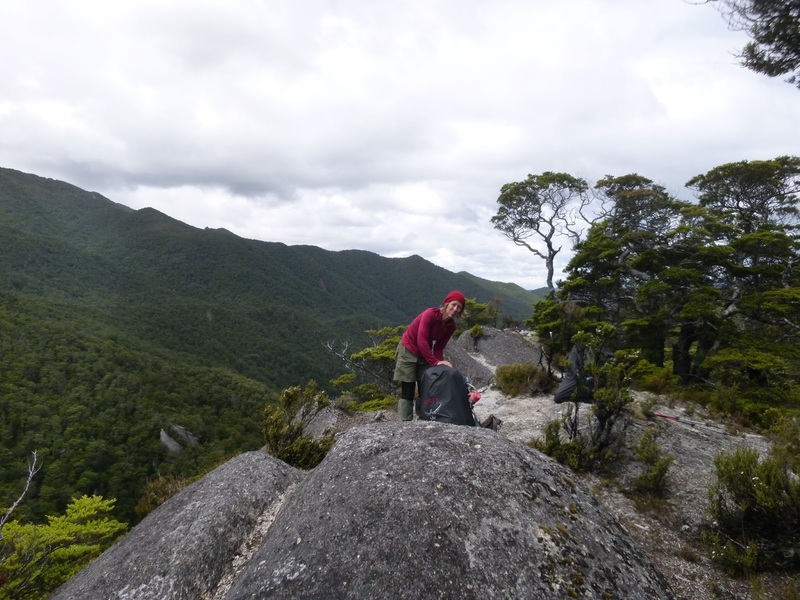 It seemed that most of the South Island was about to be drenched so we made the call to head to where the rain would potentially be the worst - Fiordland! What the heck?!?! 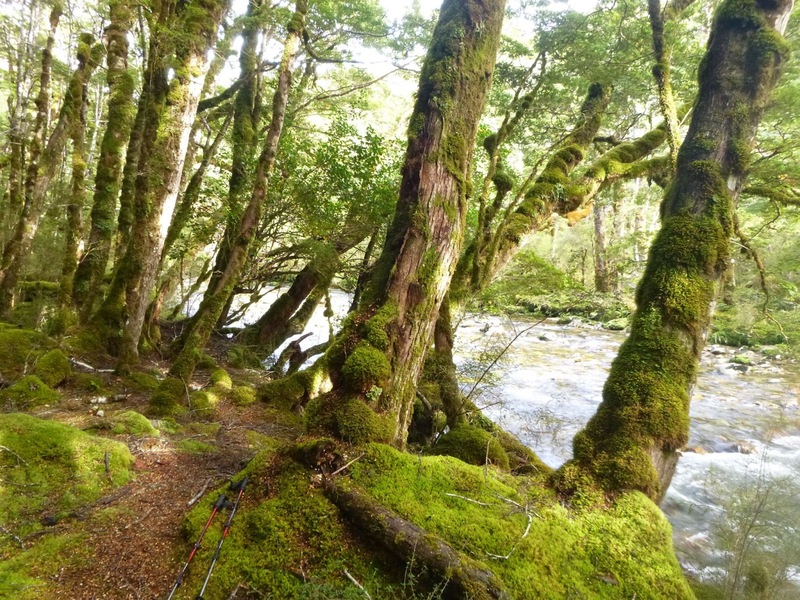 We spent a soggy night camping at Makarora. In the morning we packed up a damp tent and started the drive from their, past Wanaka and Queenstown to a lodge down by Lake Monowai (south of Manapouri. 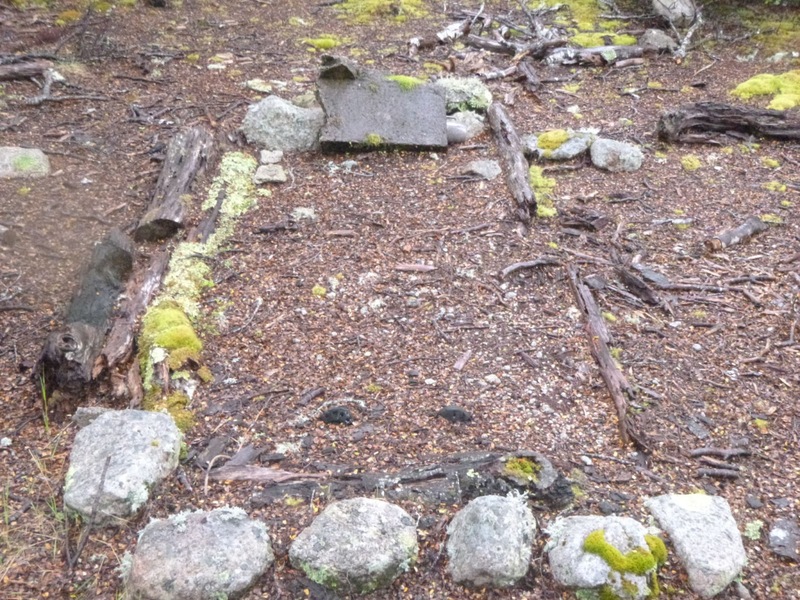 Once there we checked in with the manager of the Borland Lodge who informed us that the topo map for the area was incorrect and that a bridge marked on the map didn't exist. 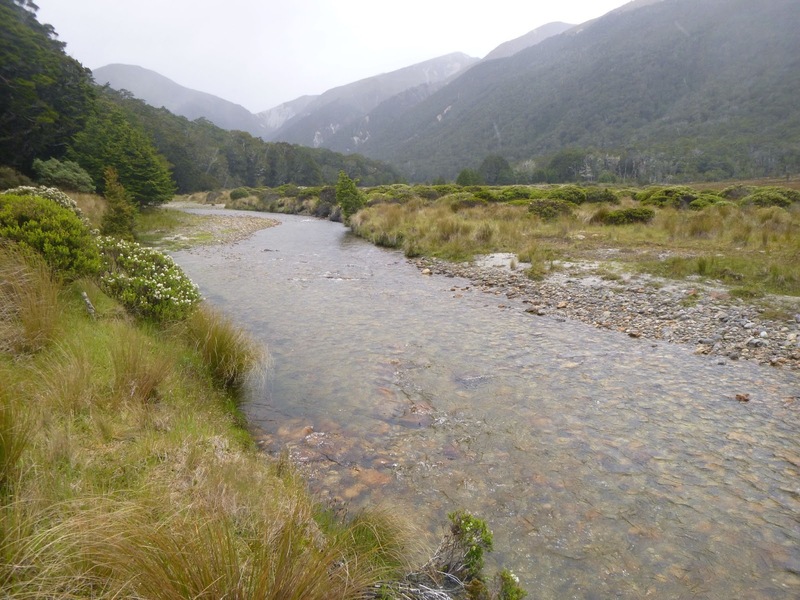 With the forecast rain we realised we would be able to make it through to North Borland Hut but that we would have to wait for the river flow to reduce before we'd be able to make it back out again. So we packed up plenty of food and headed up the North Borland track. As it was late in the afternoon we stopped for the night at a rock bivvy. The bivvy had a wooden platform for sleeping on. 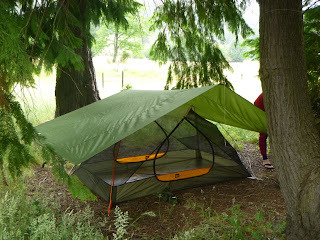 Due to the large number of sandflies we pitched the inner of our tent on the platform. The following morning we carried on along the track to North Borland Hut. 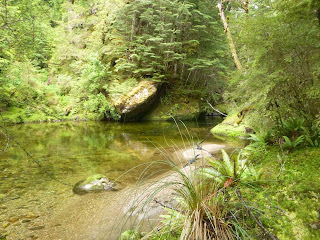 On the way we crossed the mid branch of the Borland River and took note of the waterflow. This was the river that didn't have a bridge on it and the river catchment area was huge so would definitely flood. 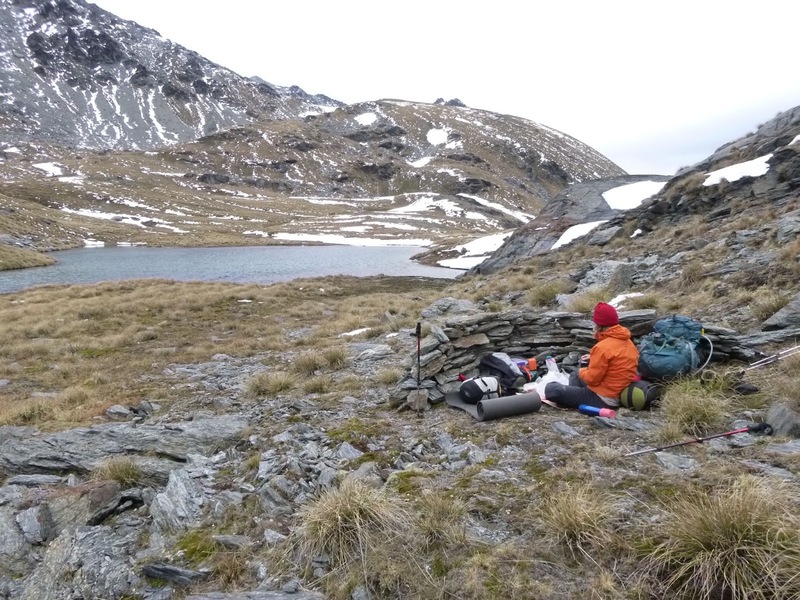 After a few hours we reached the North Borland Hut which would be our home for the next few days. 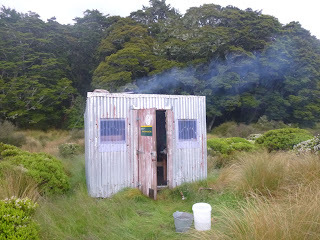 The hut is a 2-man basic DOC hut. 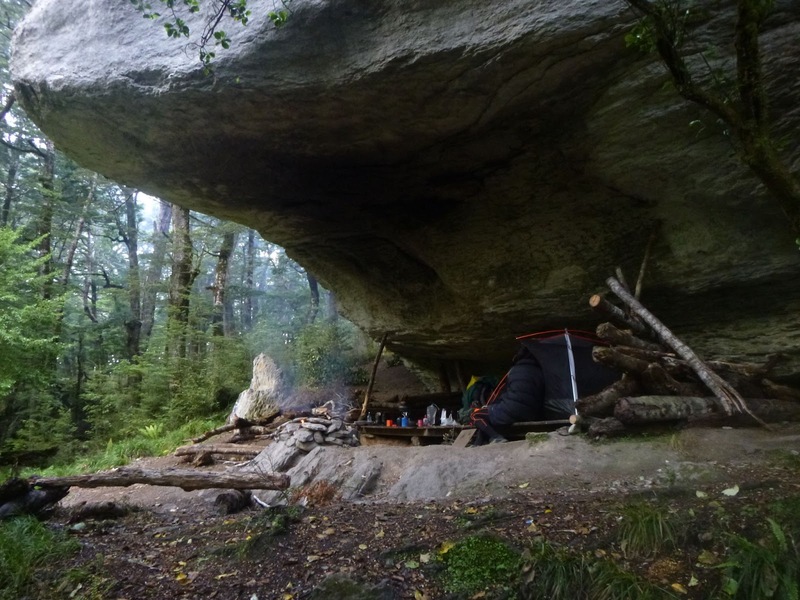 There's an open fire, a bunk, a kitchen bench, a wooden bench for sitting on and a long drop out the back towards the trees. 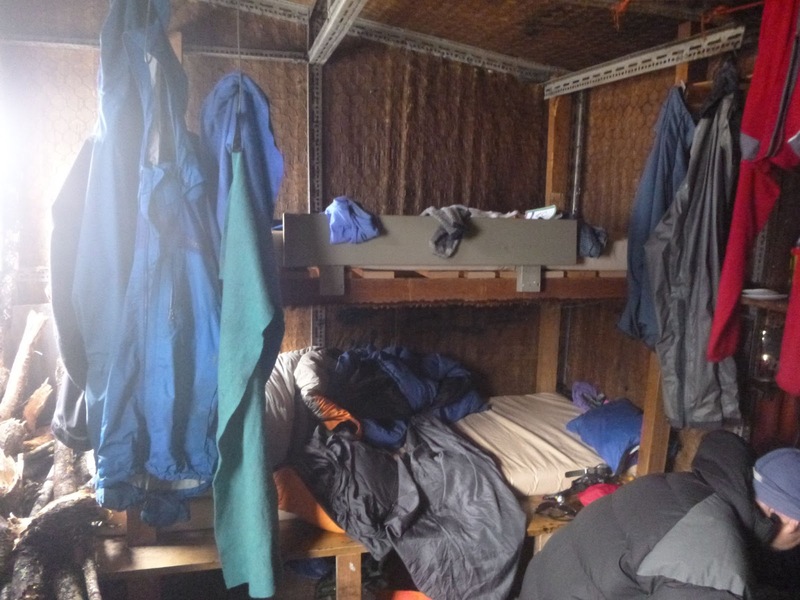 Unfortunately the roof leaked so the top bunk was out of commission during our stay. Two of us scrunched into the bottom bunk made for some cosy nights. During the night we got to the hut it rained. A lot. 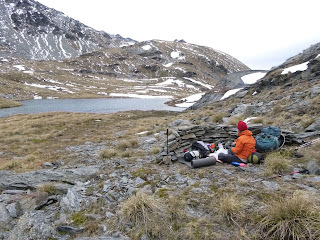 On checking the situation through the night we realised that surface flooding had resulted in the hut being completely surrounded with water - close to knee deep in places. We made sure to lift all our gear off the floor during the night just in case the water came through the floor. Due to pretty much constant rain, the next day was spent lounging around in the hut. We read and did Sudoku puzzles for the day. It was still raining on the following day but we decided to head off for a walk further up the valley anyway. 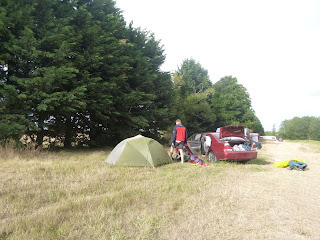 We stuck to the true right of the river heading up the valley which made for some interesting bush bashing at times. Further up the valley we managed to cross the river so returned to the hut on the other side of the river. On the way we found a established campsite including a grave (maybe a mock one?) pictured below. The grave was complete with the toes of a pair boots protruding through the soil. We walked back to the hut and managed a safe crossing of the river. After a good hunt around for firewood we settled in for the rest of the evening and night. We'd been back for a short period of time when we noticed that all the hills around us had a good layer of fresh snow. That would explain why it was a little chilly. Luckily we had done a good job collecting firewood. The following morning dawned quite a lot brighter and we had hopes of getting in some climbing. Unfortunately there were still showers coming through and we had no up to date weather forecast so made the sensible, although frustrating, decision to head back out to Borland Lodge. When we got out to the lodge we arranged to stay in one of their chalets for the night. 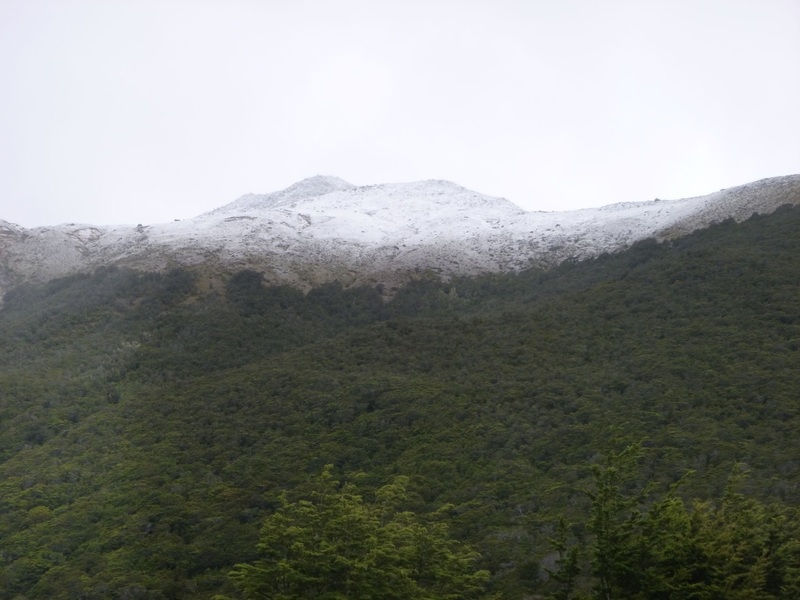 When it came to dinner time we decided to head up to Manapouri for a meal. The options were pretty limited but we had ourselves a tasty meal of flounder and salad before heading back to the lodge. 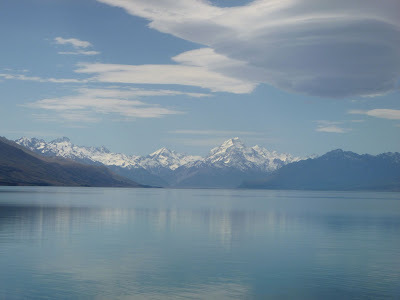 The following morning saw us heading north towards Queenstown. 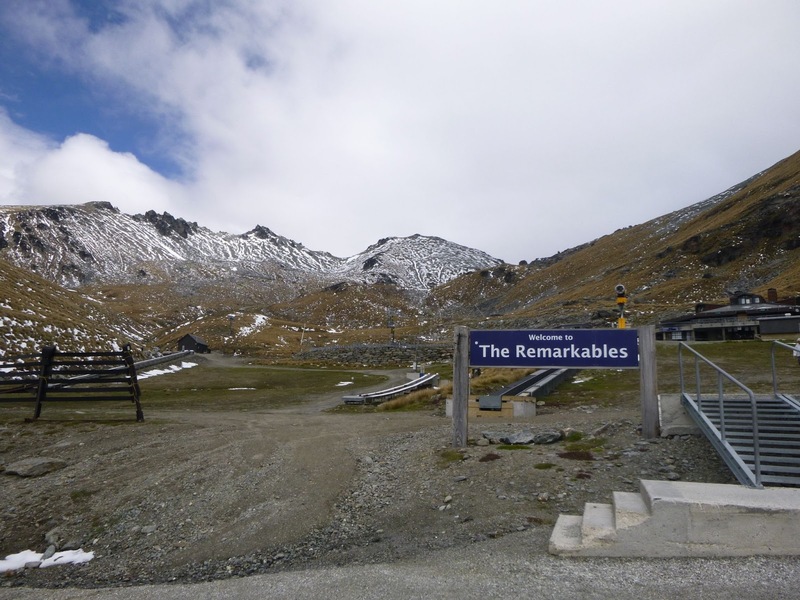 We figured we had time for one last adventure so drove up to the Remarkables Ski field, packed our gear up and got walking. 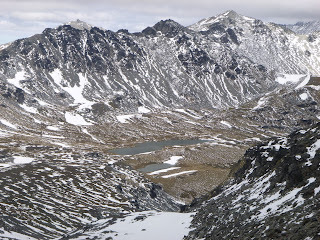 The plan was to walk up the ski field, climb over the saddle to the other side of the range and bivvy for the night by the tarns at the top of the Wye valley. It was extremely windy and cold so we built a rock bivvy to give us some shelter from the wind. During the night the wind eased and the sky clearer. The clear sky was amazing with the stars looking very close. In the morning we packed up and headed back down to the skifield carpark before getting on the road to Christchurch where we would catch our flight home to Wellington. After three weeks of tramping, climbing and camping we were just getting in the groove so it was a bit sad for the adventures to be over.